Jeanine Jacobson is the longest tenured Founder Institute Local Director, and as such she has been instrumental in growing the product, curriculum, and local programs. In fact, while we currently operate chapters in over 180 cities worldwide, Jeanine launched the first ever chapter outside of Silicon Valley way back in Autumn 2009 (in San Diego/ Orange County). Since then, Jeanine has also taken over the Los Angeles Founder Institute Chapter, and has undoubtedly played a strong role in building the vibrant startup ecosystem you find in Southern California today. In total, Jeanine has helped launch nearly 100 Founder Institute Graduates across her San Diego and Los Angeles Chapters - including some of the fastest-growing companies from our global portfolio like Realty Mogul, Feetz, and Embarke. Prior to her work at the Founder Institute, Jeanine was the Executive Director and President of Athena, the premier organization for executive women in technology and life sciences. After serving in that position for seven years, successfully raising funding, and helping countless women grow their careers in the tech field, Jeanine left Athena and set her sights on helping budding technology entrepreneurs. As a result, she co-founded Startup Circle, a networking organization and community devoted to building a sustainable entrepreneurial hub in Southern California. That's when Jeanine discovered the Founder Institute. I was working with a group of tech startups who knew how to build technology, but had no idea how to take it to their idea to next level and commercialize it. In my search for resources I read about the Founder Institute, and it was a perfect solution. I knew this program could be huge for San Diego, so even though the Founder Institute didn't yet have the infrastructure for launching new chapters, I was persistent and helped them build out the process in order to launch the first San Diego Semester. 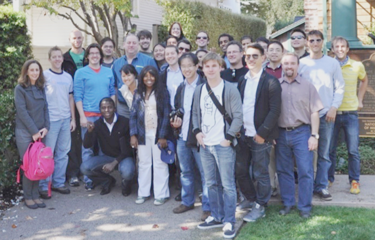 The resulting program was the “San Diego/ Orange County Fall 2009 Semester“, which attracted a large volume of applications and ultimately graduated 11 new companies. Since then, Jeanine has led over 13 additional Founder Institute semesters, and won “Best Overall Director“ at the Founder Institute Director Awards. In addition, she has hosted countless luminary tech CEOs as Mentors in her Founder Institute programs, such as Scott Painter (Founder & CEO of TrueCar), Brian Lui (Co-Founder of LegalZoom), Joe Bezdek (Co-Founder of DivX), Trip Adler (Founder of Scribd), Jason Calcanis (Founder & CEO of Inside.com, Angel Investor), Fred Joyal (Founder of 1-800-DENTIST), Jason Nazar (Co-Founder & CEO of DocStoc), Jimmy Hendricks (Co-Founder of Deal Current), and many more. But, working with world-renowned business leaders is not what drives Jeanine. The most satisfying aspect is to work with budding entrepreneurs at the formative stage, and watch as their idea evolves into a real company. I have had the privilege of working with amazing new founders that are smart, creative, and tenacious, and I get new energy from working with them every day. See a sampling of some of the fast-growing companies Jeanine has helped launch through the Founder Institute below. Realty Mogul: Realty Mogul is an an online marketplace for accredited investors to pool money and buy shares of pre-vetted investment properties. $100+ million in transactions in year one, and $10+ million in funding. Los Angeles FI Graduate. Embarke: Embarke increases engagement and revenue for marketers by integrating email service providers and marketing automation tools. The company has received over $1.25 million in funding, and is a TechStars Seattle Graduate. San Diego FI Graduate. Codeity: Codeity is an online matchmaking platform where the best developers can connect with top tech companies. They have raised $2M+ in seed capital. Feetz: Feetz provides custom-made 3-D printed shoes, resulting in the perfect size shoe. Founder Showcase Champion, received funding from The JumpFund, GigTank, and Fab Lab. San Diego FI Graduate. Green Kid Crafts: Green Kid Crafts is a green company that provides creative and educational activities to do with kids through a subscription service. The company has won multiple awards. San Diego FI Graduate. Kaliki: Kaliki is a spoken word platform that lets users access their favorite audio news and information content on-demand. Official app partner for General Motors and Ford vehicles. San Diego FI Graduate. Kichink: Kichink is an all inclusive ecommerce service that allows anyone to start selling via their website or Facebook page. The company currently powers over 20,000 online stores in Mexico. San Diego FI Graduate. OneGoodLove.com: OneGoodLove is the premier online dating site created specifically for the relationship-minded gay and lesbian community. $1 million in funding. Los Angeles FI Graduate. Learn more about Jeanine Jacobson on her LinkedIn page, or follow her on Twitter @jeaninejacobson.